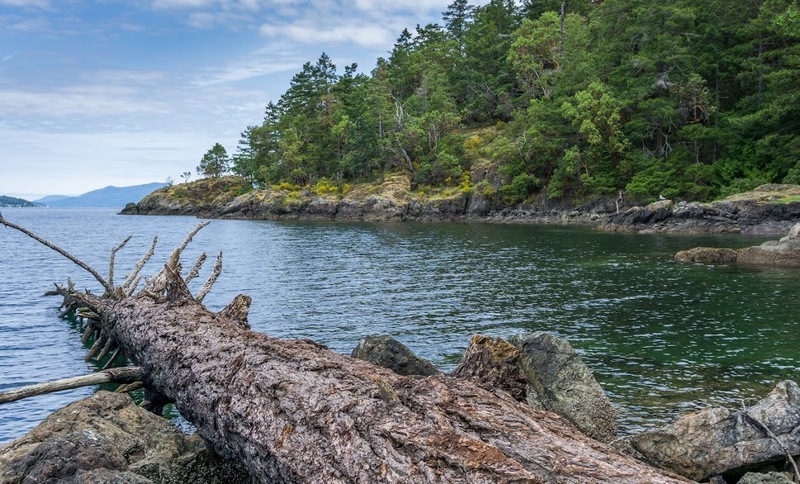 Gowlland Tod Provincial Park is a hidden treasure, sitting unassumingly on the SE coast of Saanich Inlet. 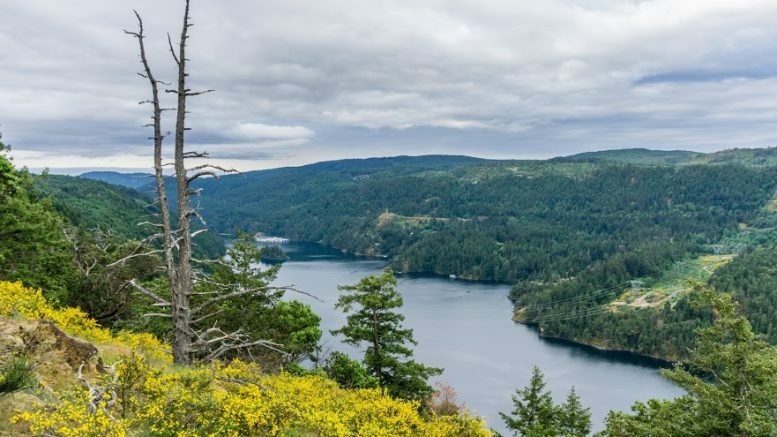 It’s relatively easy to get there by public transport but quiet and forgotten when compared to Goldstream which attracts carloads of tourists. We walked the length of the park easily over 2 days, along trails that linked up nicely from Bear Mountain Resort to Butchart Gardens. To get to Bear Mountain Resort, you need to take a bus #52 from Langford. First, you will walk along Country Club way from the bus stop. It turns into Academy Way and then turns into a gravel road that takes you through the golf course before coming out on the other side next to the forest. Follow the gravel road from the edge of the golf course for about 400m before turning up a side trail into the forest on your left. When you reach a T junction, turn right onto Canada Cup Trail. Stay on Canada Cup trail for 3 more junctions until you turn right onto Mount Finlayson Trail. 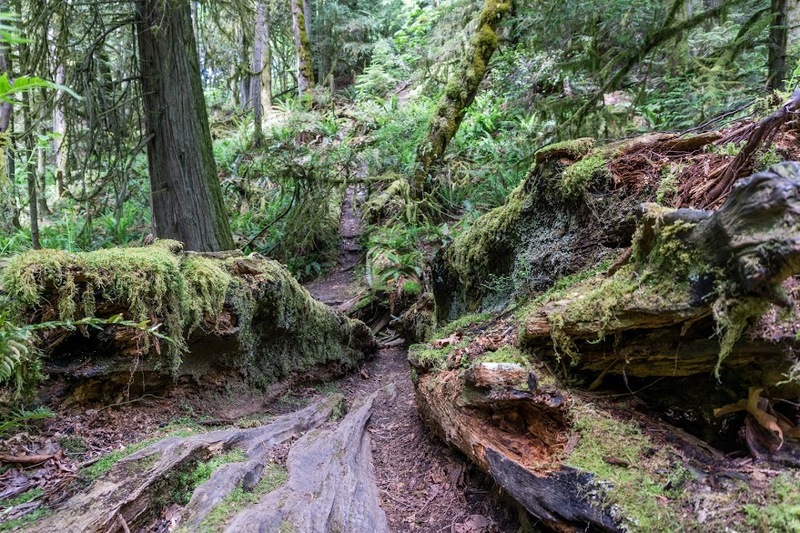 This part of the trail takes you around the bottom of Mount Finlayson, in Goldstream Provincial Park. At the end, you’ll come to Finlayson Arm Road, which you’ll turn right onto and then follow until you reach Rowntree Road. Turn left onto Rowntree Road and veer right to stay on Rowntree Road at the junction with Viart Road. 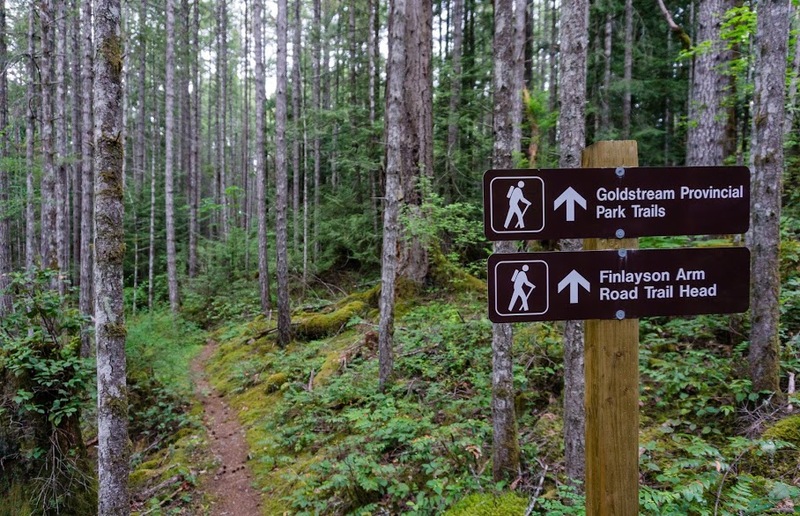 The road turns into a trail that takes you into Gowlland Tod Provincial Park. 500m after the end of the sealed road, after passing through the gate, you will come to the junction with Ridgetop Trail where there is a map. Turn left onto the trail and follow until the next signpost where you can choose to go up to Holmes Peak for a view, or bypass it. We bypassed because we felt that we had seen the views already by this time. 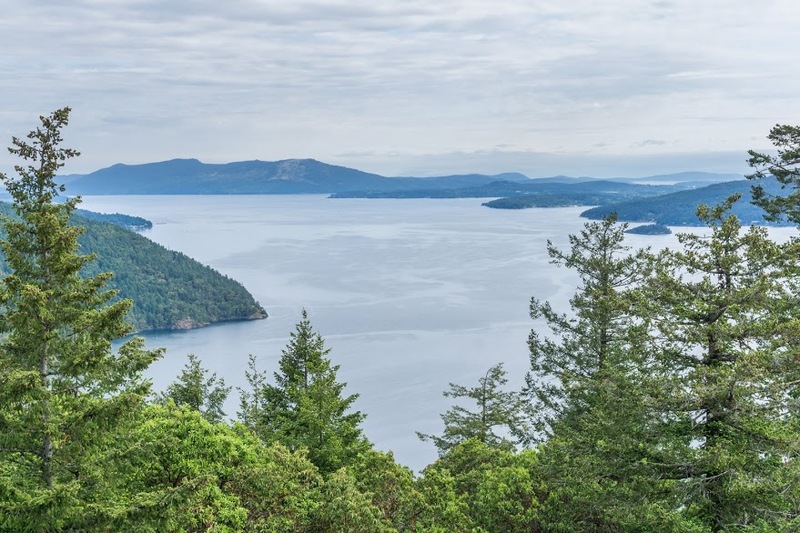 The trail undulates through forest and open tops with fantastic views across the inlet to the west and the mainland to the right. You can continue along the ridge for more views or choose when to fork down to Rabbity trail along the coast. We turned to go down to the coast at the Cascade Trail, off Timberman Trail, and reached the beach at McKenzie Bight. Even though the path down to the beach is very steep, I definitely recommend checking it out, it’s a beautiful spot. When we were there, we saw a bunch of jellyfish, an eagle and a harbour seal which poked its head out from the ocean to check us out. To get to the Butchart gardens, keep hiking along the coast for a bit and then turn right, straight up. After an hour, when you hit Wills Point Road, keep going East. It’s easily said than done though, the paths through forest are not signed and there are so many trail you can follow that it’s easy to get lost. GPS is quite necessary here. Once you get to Butchart gardens, keep in mind that the bus stop there is private and you cannot access it without buying expensive ticket to the gardens. The public bus stop is about 5 minutes up the road on Wallace Drive. 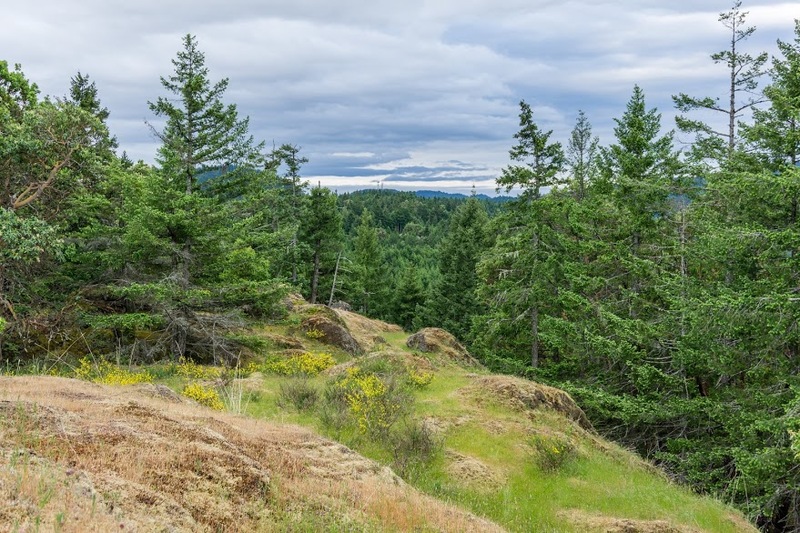 Be the first to comment on "Hiking around Victoria, British Columbia: Gowlland Tod Provincial Park"